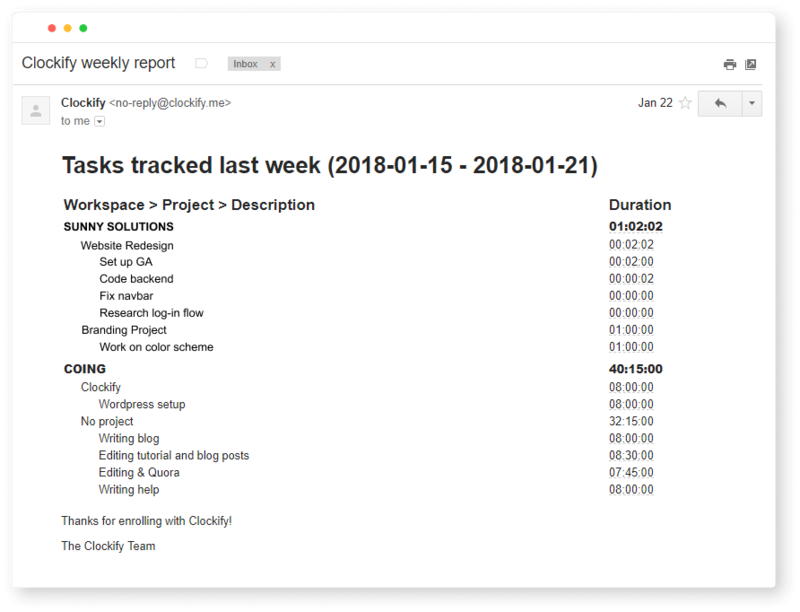 Weekly report shows you a weekly breakdown of your time in a classic timesheet view. It shows a summary of all time for each day in the week, as well as total time. You can further expand each item for a more detailed breakdown. 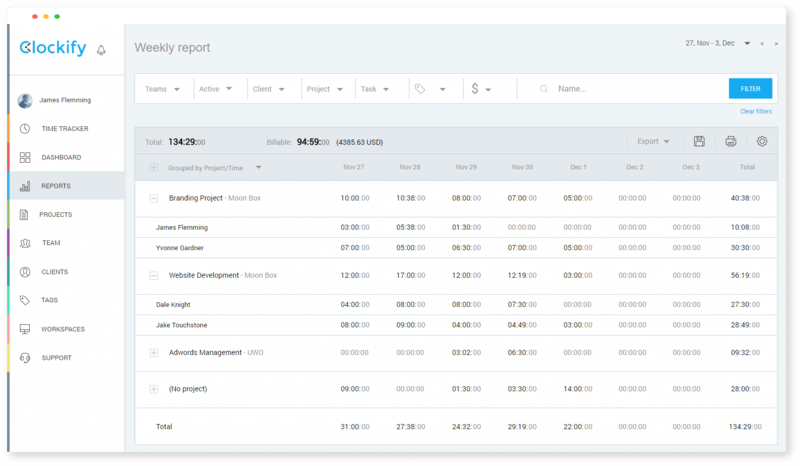 Grouping by project is useful when you want to see how much time you’ve worked for each client. Grouping by user is useful when you want to see how much time each person on your team worked each day. Instead of time, you can also choose to see earnings for each day by clicking Grouped by > Show -> Earnings. At the start of each week, Clockify sends you a summary of all time tracked from the previous week. You can turn off weekly emails in User Settings.